Different, remarkable, colorful. These definitions describe very well the shoulder bags Thaïs Go Climbing. Made of elastic and strong neoprene, they can pack everything you need. Bright colors make them different, fresh and remarkable from far away. 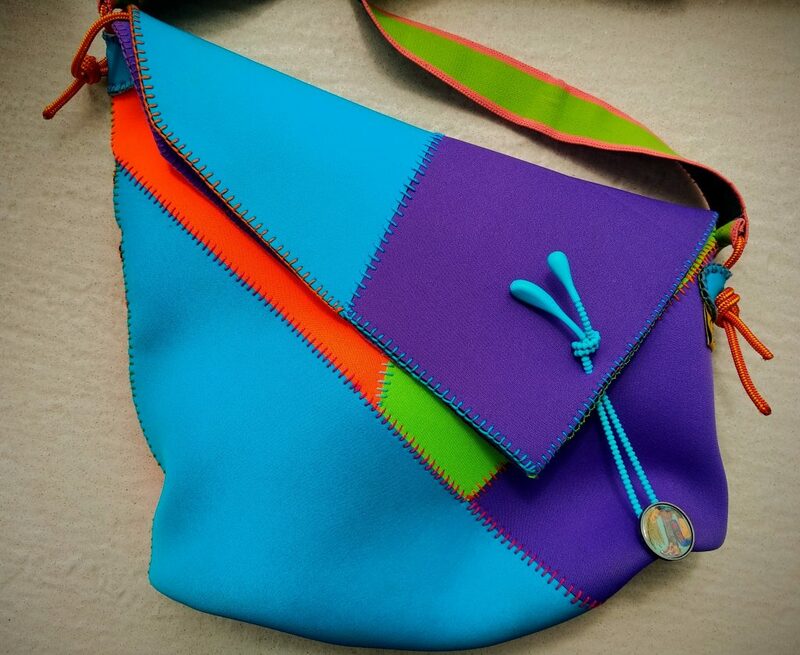 Thaïs shoulder bags are entirely handmade – from the first to the last seam. This makes them unique. Each bag has its own character and differs, even with very few, from the others. They are made from strong and elastic neoprene that withstands hard kneepads tests. They are not waterproof as the stitches are not glued, but you can rest assured that the contents will remain dry in mild rain. The handle is stylish, colorful and elastic. 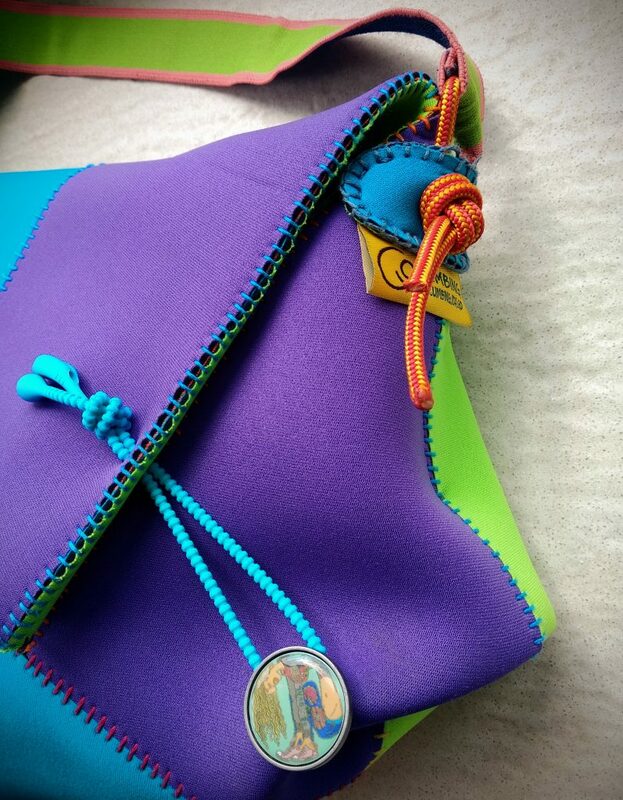 It is fixed asymmetrically on both sides of the bag with thin ropes. 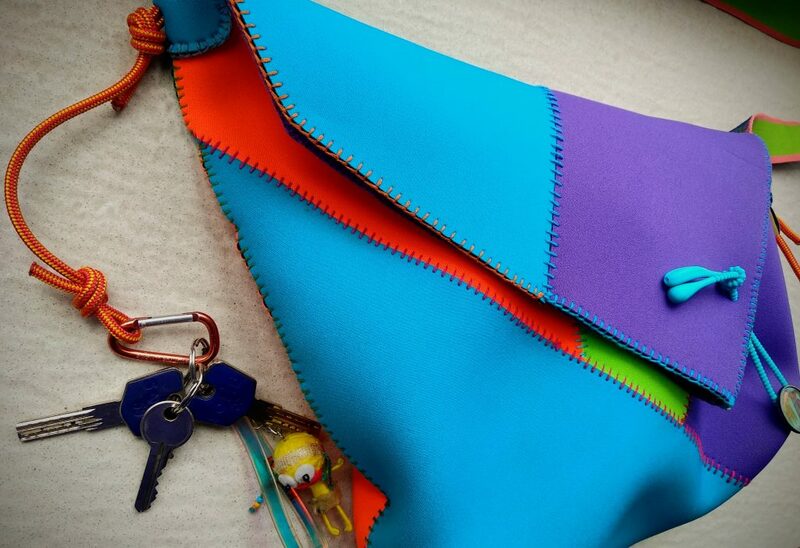 In this way, the bag slides forward and closes with a silicone clasp and a button. The end of one rope is longer and ends with a small carabiner suitable for keys. The Thaïs shoulder bag is compact, but it can pack a lot of things, even the training clothes and the bottle of water. 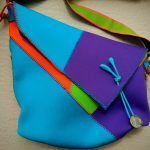 The Thaïs shoulder bags are custom made and they are limited edition. The fabrics can be combined according to your preference.